In a recent GQ profile Cardi B praised FDR for various accomplishments including his commitment to the elderly. 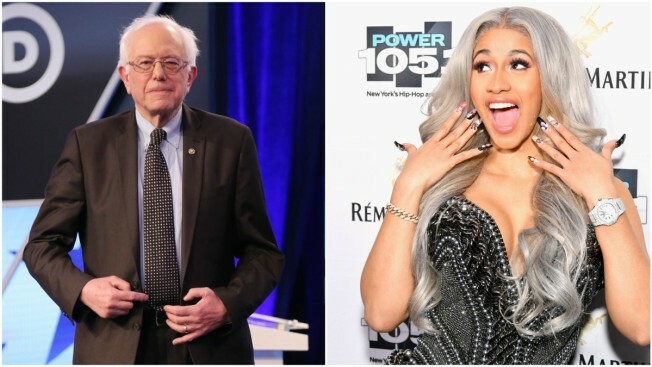 Bernie Sanders and Cardi B agree on the importance of social security for senior citizens. Whoever said politics makes strange bedfellows had no idea. Sen. Bernie Sanders added his voice to the call to protect social security following on the heels of Cardi B's recent praise for former President Franklin Roosevelt and his work for the senior community. “Cardi B is right. We've got to protect social security for all generations,” Sanders said in a tweeted video. "He helped us get over the Depression, all while he was in a wheelchair. Like, this man was suffering from polio at the time of his presidency, and yet all he was worried about was trying to make America great—make America great again for real," Cardi B said. "He's the real 'Make America Great Again,' because if it wasn't for him, old people wouldn't even get Social Security."